Lil' Bits "Eskimo Eskapades" helps you in case your hands get cold out there! These are the premade scrapbooking and card making elements that make it easy to place into your creations and get back to the fun of the day! These digital elements are NOT included in the FQB "Eskimo Eskapades" Collection. 3 Tabs - a great little element with a metal tab top! What will it hold on your scrapbooking layouts and cards? 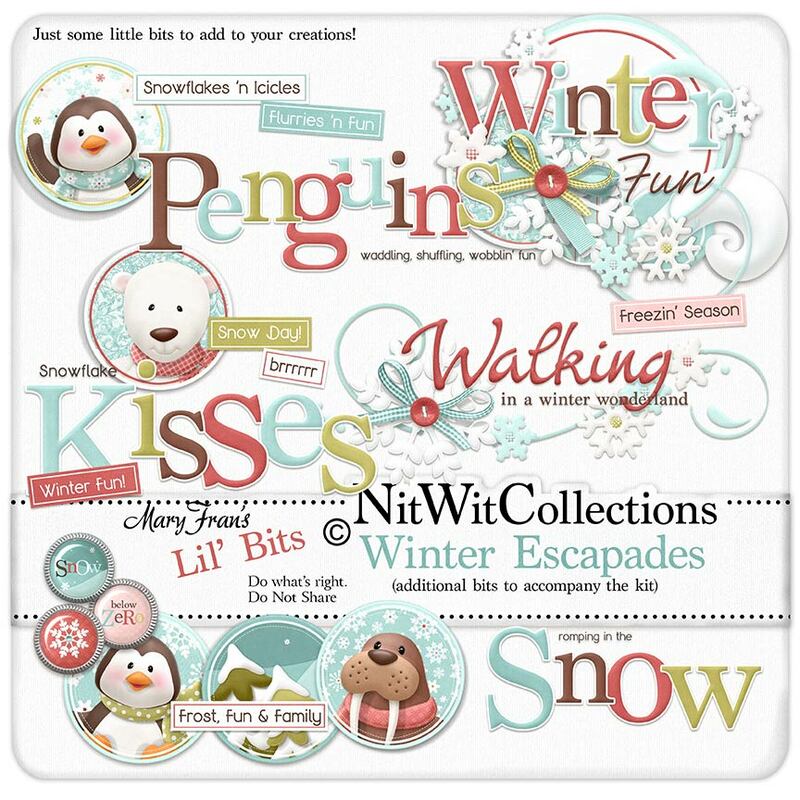 1 Wordart - "Eskimo Kisses"
1 Wordart - "Romping in the Snow"
1 Wordart - "Walking in a Winter Wonderland"
1 Wordart - "Winter Fun" - and it really is!